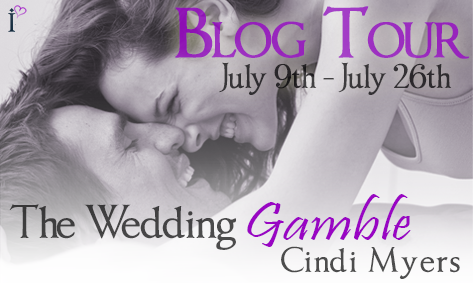 Cindi Myers’ second Indulgence, The Wedding Gamble, is one smokin’ hot read. You can learn more about this classic romance love story, and meet Cindi, on her blog tour. And we’d love it if you’d help spread the word by grabbing and sharing the blog tour button!